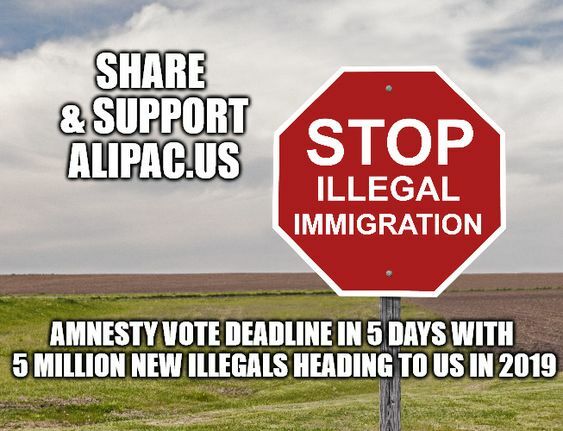 While there is news that the budget negotiations are stalling, the next Amnesty vote deadline is this Friday, Feb 15. This is when Trump & Kushner plan to have a deal with Democrats for token border fencing funds for Amnesty for millions of illegals. Last edited by ALIPAC; 02-10-2019 at 04:12 PM.